The journal Hannon: Revue libanaise de géographie is published by the Lebanese University in Beirut. 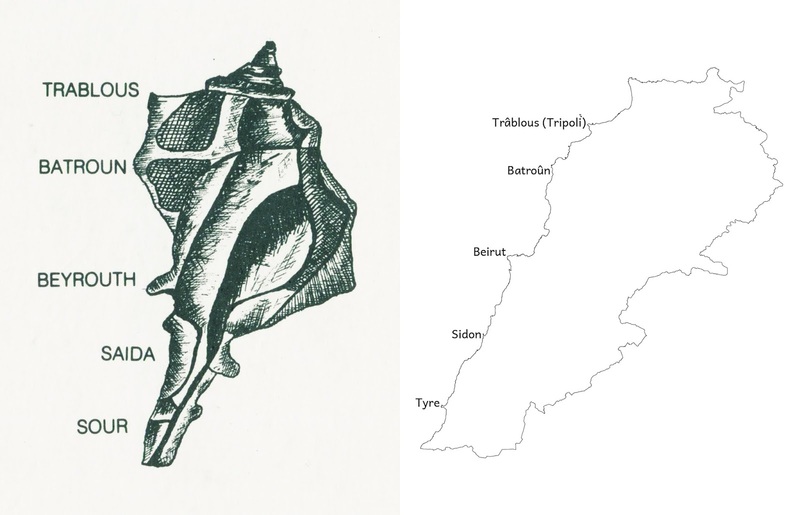 The cover of the journal depicts a map of Lebanon using the shape of a Murex mollusk shell—a pretty clever idea, I thought. The sea snail that calls these shells home was extracted by the Phoenicians to create a purple dye. 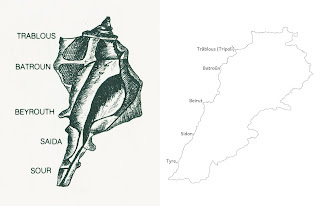 Cover graphic of Hannon journal compared to a map of Lebanon. 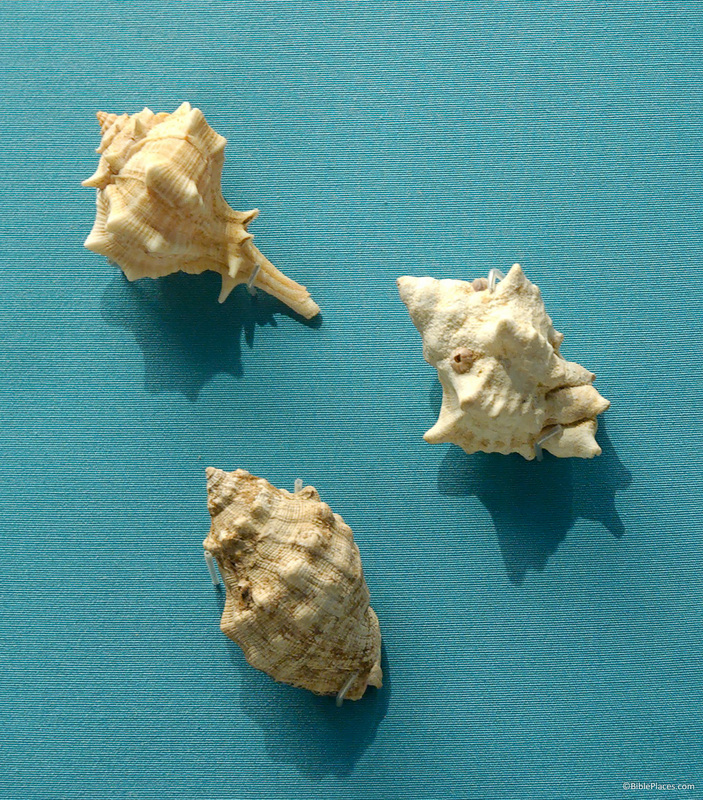 Three species of Murex at the British Museum. Ferrell Jenkins has written several informative blog posts about the purple dye. Last December, the publisher Brill released The El-Amarna Correspondence: A New Edition of the Cuneiform Letters from the Site of El-Amarna based on Collations of all Extant Tablets, by Anson Rainey. 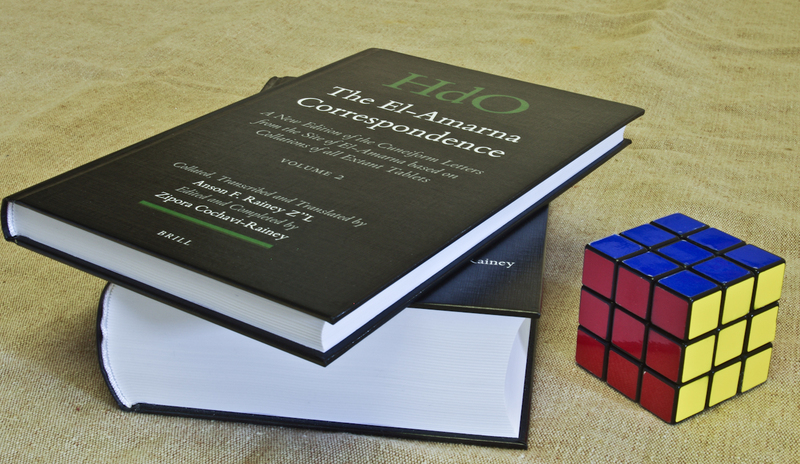 At the very end of last year, nearly four years after his passing, Rainey's magnum opus was brought to completion: a two-volume set entitled The El-Amarna Correspondence: A New Edition of the Cuneiform Letters from the Site of El-Amarna based on Collations of all Extant Tablets. Handbook of Oriental Studies Section 1: The Near and Middle East 110. Boston: Brill, 2015. (This is one of a few magna opera produced by Rainey in his lifetime—The Sacred Bridge could count as one [here, review here]; his four-volume grammar of the Amarna Letters, Canaanite in the Amarna Tablets, could count as another [vol. 1, vol. 2, vol. 3, vol. 4]; an earlier publication of new Amarna Letters yet a third). line-by-line discussion for readings of specific cuneiform signs and words based on Rainey's collation in comparison to earlier readings. 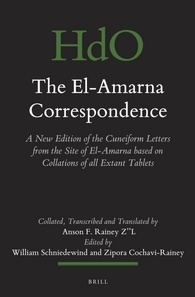 The El-Amarna Correspondence by Anson Rainey will be the standard edition of the Amarna Letters for this generation, and anyone who uses this material in their research would benefit from consulting Rainey's work. As I was preparing this post, I was a little surprised by the quality of proofreading I encountered. I expected in an academic work of this type that greater care would be taken. And since they have given it a regal price tag (retail $293), I would assume the publisher could afford top proofreading talent. There were a handful of typographical mistakes in volume 1, but volume 2 contained quite a few typographical mistakes as well as factual errors. Between and within the volumes, there is confusion over EA 380-382 (their disposition, museum numbers, etc.). On another note, for volume 1, page numbers were not included on the first page of each letter, and since several letters are less than a single page in length, that means there are stretches of the volume without any page numbers at all. It would have been nice to have a page number printed on every page. Chris McKinny explains the fortifications of Tel Burna that were discovered this season. The Charlotte Observer reports on Shimon Gibson’s excavations in Jerusalem. Tracy Hoffman has a wrap-up on the 2015 season at Ashkelon. James R. Strange is interviewed by the Ancient Jew Review about his excavations of Shikhin. 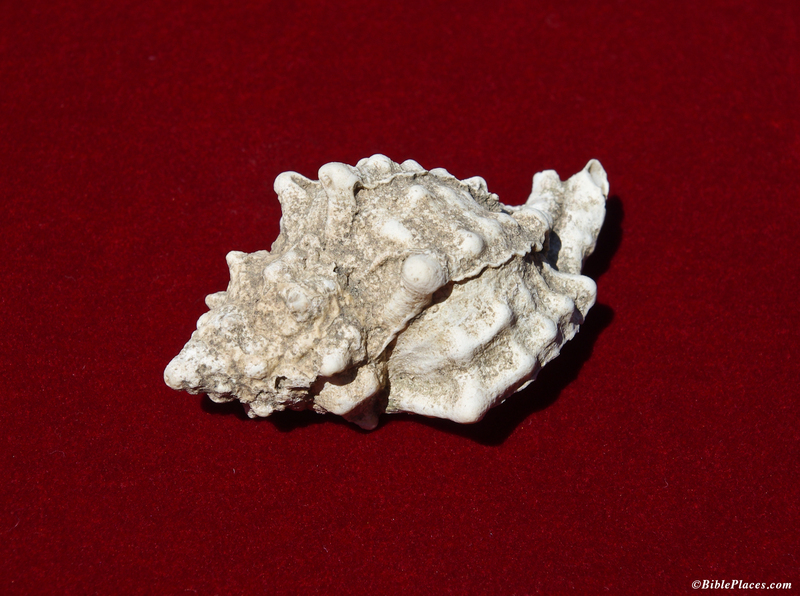 Excavations of the Red Sea harbor of Berenike have revealed many inscriptions and much more. A scene discovered at Göbeklitepe in Turkey may be the world’s oldest pictograph. Philip II of Macedonia may be buried in a different tomb in Vergina than originally thought. Chickens were first raised for mass consumption at Maresha in the Hellenistic period, a new study claims. Aleteia tells the story of how new life has come to Magdala. Hershel Shanks is interviewed by Author Talk on the 40th anniversary of Biblical Archaeology Review. In light of Tisha B’Av, Wayne Stiles looks to the Burnt House to help us examine our motives. A copy of Lamentations from the Dead Sea Scrolls was on display for the first time at the Bible Lands Museum. The course runs from September to December and gives you the opportunity to do as much or as little as your schedule permits. You can watch videos, read the textbook, and join in discussions. This also would be a great opportunity for those who have traveled to the Lands of the Bible but the tour left them longing for more! The book of Joshua has the most geographical details of any book in the Bible. This is particularly the case for Joshua 13-21, which provides a series of different lists or non-graphic "maps" describing different aspects of Israel's tribal settlement. Joshua 12, which precedes this section, is different (and unique) than the subsequent lists in that it provides a detailed list of 34 "slain kings" of Moses and Joshua. In a sense, this list provides a summary of Numbers 21 (the Transjordan Conquest under Moses) and Joshua 5-11 (the campaigns in Cis-Jordan under Joshua) as it lists all of the towns mentioned in these campaigns and provides some additional towns (e.g. Tirzah) that were apparently involved in the conquest. In this interactive map, I have compiled all of the towns in the list and provided the known archaeological details about the site (see also bibliography below) in a compact form. Wherever possible I have linked a low-resolution photo of the site. Of the 34 towns in the list, 30 can be identified with relative certainty. These four sites include the following: Goiim, which has not been identified; Ai which is probably to be identified in the area of et-Tell, but the conquest site could be located at a nearby site (e.g. Kh. el-Maqatir? ); Hormah has not been securely identified, but I suggest Tell Beit Mirsim (McKinny 2015); and Maron/Madon/Meron is possibly Tell el-Khureibeh (e.g. Rainey and Notley 2006:129) just on the Lebanese side of the Israeli-Lebanese border. There are various identification problems with other sites in the list, however, most of these site identifications are generally agreed upon. Assuming the traditional connection between Ai and et-Tell and my suggested connection of Hormah with Tell Beit Mirsim, this leaves us with 32 sites that have been identified and surveyed or excavated. Significantly, 28 of these 32 sites have clear Late Bronze Age remains. And what are the sites that are missing Late Bronze? Heshbon (Tell Heshban), Ai (et-Tell? ), Arad (Tell Arad), and Makkedah (Khirbet el-Qom). Makkedah was only briefly excavated and Middle Bronze remains were found at the site, which might hint at the presence of later remains. Heshbon revealed phases of the earliest Iron I phases, but not Middle or Late Bronze Age. Ai and Arad are two of the three "etiological" towns along with Jericho (which, in fact, has Late Bronze) whose inclusion in the conquest narratives is usually associated with their large Early or Middle Bronze ruins (i.e. later Israelites attributed the observed ruins to traditional Joshua and Moses figures). This brief post is not the place to argue for or against this rationale, however, in light of the evidence of 88% of the towns in the Joshua 12 list having Late Bronze/Canaanite occupation it seems worth noting that these arguments are based on exceptions to what appears to be a coherent depiction of Late Bronze Canaan. This at least points to the likelihood that the writer of the Joshua 12 list (which, again, reflects the conquest narratives of Josh. 5-11) had a detailed understanding of the geopolitical landscape of Canaan in the Late Bronze Age. Summary: Modern technologies made it possible for the first time to read the contents of a burnt scroll that was found forty five years ago in archaeological excavations at Ein Gedi, on the western shore of the Dead Sea. Surprisingly the scroll is a 1,500 year old copy of the beginning of the Book of Leviticus…. Details: The parchment scroll was unearthed in 1970 in archaeological excavations in the synagogue at Ein Gedi, headed by the late Dr. Dan Barag and Dr. Sefi Porath. However, due to its charred condition, it was not possible to either preserve or decipher it. The Lunder Family Dead Sea Scrolls Conservation Center of the Israel Antiquities Authority which uses state of the art and advanced technologies to preserve and document the Dead Sea scrolls enabled the discovery of this important find. It turns out that part of this scroll is from the beginning of the Book of Leviticus, written in Hebrew, and dated by C14 analysis to the late sixth–century CE. To date, this is the most ancient scroll from the five books of the Hebrew Bible to be found since the Dead Sea scrolls, most of which are ascribed to the end of the Second Temple period (first century BCE-first century CE). There are no English articles yet posted, but you should be able to find them as they appear with this link. Haaretz has the story in its Hebrew edition. High-res images may be downloaded here. Thanks to Joseph Lauer for sending the press release and related links. The finds keep coming in the excavations of Gath. A mosaic with a verse from Isaiah 65 has been discovered in Adana, Turkey. A thief has returned two ballista balls he took from the excavations of Gamla twenty years ago. The US has returned more than 400 ancient artifacts to Iraq seized from a leader of the Islamic State. There are many photos here. Researchers are working to restore Iraq’s destroyed monuments online. Police have arrested suspects in the arson case of the Tabgha Church of the Multiplication of Loaves and Fish. The Temple Institute is raising a red heifer in Israel. Ayelet Gilboa writes about the significance of Tel Dor in the Jerusalem Post. Jennie Ebeling talks about the Jezreel excavations on the Book and the Spade. You can get up to speed on the excavations at Tel ‘Eton (Eglon?) 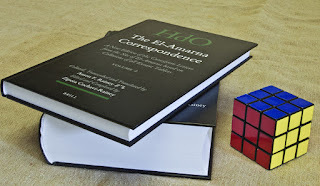 with this article by Avraham Faust and Hayah Katz at the ASOR Blog (registration required). The Water Gate in Jerusalem gets Wayne Stiles to thinking about its past and present significance. Are you a Mesopotamian know-it-all? The ASOR Blog has 14 questions to test your knowledge. The PEF introduces a new series: Interviews from the Jerusalem Chamber. The dates for the 2016 season at Tel Burna have been announced. Exploring Jordan: The Other Biblical Land is a free e-book from the Biblical Archaeology Society that includes articles on Bethany, Rabbath of the Ammonites, Philadelphia, Moab, and Petra. The Illustrated Life of Paul by Charles L. Quarles is $0.99 on Kindle today. With apologies for getting this out late, today is the last day of an introductory sale on The Virtual Bible, by Accordance Bible Software. The Virtual Bible [is] a new visual resource which offers three-dimensional reconstructions of the land of Israel, first-century Jerusalem, the Herodian Temple, and more. The visuals, which include still images and video fly-throughs, were developed by Dr. Daniel Warner of New Orleans Baptist Theological Seminary and Dr. James Strange of the University of South Florida, in consultation with Leen Ritmeyer, an archaeological architect who is an expert on the Jerusalem Temple. For sample videos, see this Accordance blog post. For product details, click here. This video shows how The Virtual Bible is produced. As I was reading about this product, I learned that The Virtual Bible has been around for a little while (here and here; the project was begun in 1999). The Virtual Bible is new to Accordance, and they describe the product as "Enhanced" though I am not sure what that means. The first permanent Roman legionary camp has been discovered near Megiddo. Scholars long knew of its existence because of the site’s preserved name of Legio, but only recently have they found remains. This year-old article at Bible History Daily has more of the background than the recent news reports. Excavators working at the Jewish village of Shikhin near Sepphoris have discovered a pottery workshop. A family in Ein Kerem near Jerusalem found an ancient mikveh (ritual bath) underneath their living room. High-res photos are available here. Jodi Magness has discovered more mosaics in her excavation of the Jewish synagogue of Huqoq. For photos, see the links at the end of the article. Here’s the latest on the gate discovered this week at Gath. UNESCO has added the tombs of Beth Shearim, Jordan’s Baptism Site, and Susa to its World Heritage List. CNN has put the Dome of the Rock in the number one spot of places to visit before they are destroyed. ISIS-controlled Palmyra is not on the list. This looks interesting: Urban Legends of the New Testament: 40 Common Misconceptions. It quotes this blog and comes out on Monday. Wayne Stiles is leading a tour focused on the life and land of Jesus in 2016, with a $550 reduction from this year’s tour price with the early bird rate. A detailed report of the destruction to the archaeological site of Palmyra is available from the ASOR Syrian Heritage Initiative. Ross Burns is keeping a tally of destruction to historic Syrian sites. The Palestine Exploration Fund has been celebrating its 150th anniversary. Here’s a unique aerial photo of Gibeah of Saul (Tell el-Ful), taken in 1931 before King Hussein’s construction destroyed Saul’s palace.